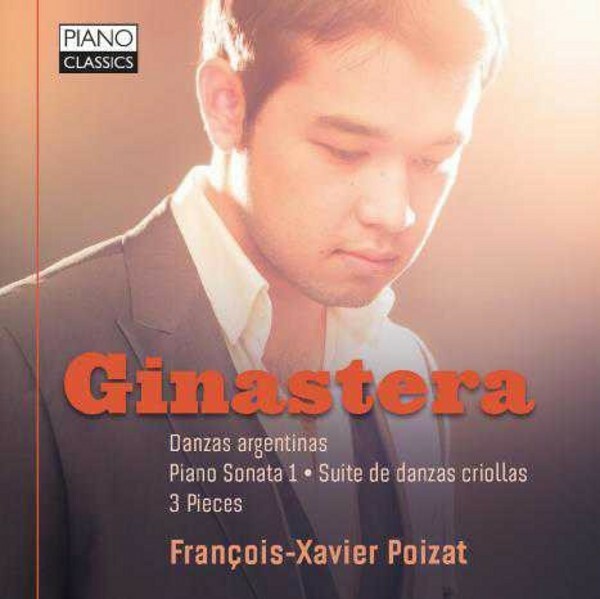 This new recording contains a representative selection of piano works by Argentinan composer Alberto Ginastera (1916‐1983). His piano works brim with Latin‐American passion: brutal, sensual, evocative, sentimental, always filled with the vibrant rhythms and colours of the folk music and dances of his home country. Included are the popular Danzas Argentinas, the substantial and serious first Piano Sonata, the atmospheric 3 Pieces and Suite de danzas criollas. Francois-Xavier Poizat is a young Swiss pianist �gifted with a deep lyricism and a stunning virtuosity� (Martha Argerich). He has already won several international competitions, among which a 'Special Jury Prize' at the prestigious Tchaikovsky Competition 2011.